Brandi's feud with Joyce continues on The Real Housewives of Beverly Hills. How do these feel? 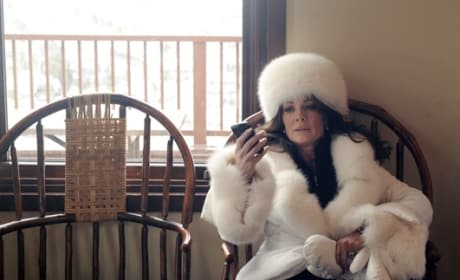 This is a scene from The Real Housewives of Beverly Hills Season 4. Carlton and her mother-in-law get a little too close on The Real Housewives of Beverly Hills. Brandi has a few too many and things get awkward at dinner on The Real Housewives of Beverly Hills. This is a photo from The Real Housewives of Beverly Hills. It is from the episode "She Hearts You, She Hearts You Not." Carlton and Kim begin to bond on their trip to Palm Springs on The Real Housewives of Beverly HIlls. Brandi Glanville makes out with Carlton Gebbia on The Real Housewives of Beverly Hills. No cell service? Big problem! Camille Grammer is back. Does anyone care? Pictured in this season finale argument: Kim Richards, Adrienne Maloof, Lisa VanderPump and Taylor Armstrong. 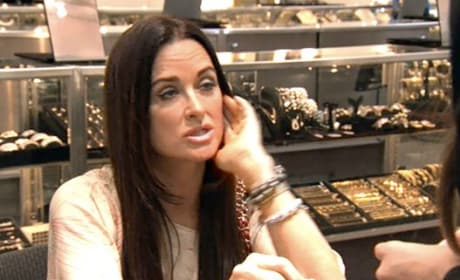 Kyle Richards of the Real Housewives of Beverly Hills is Paris Hilton's aunt, a mother of four and a real classy babe. Well, mostly. Camille Grammer is nuts. Let's not put too fine a point on it, it's the truth.